My emphasis has always been on the importance of having a website as an internet marketer. It is highly essential that you get your own space online to promote your products. You can’t rely on third party’s property like social media or free website like blog spot if you are interested in doing something serious online. Though, they can highly be helpful to kick start your business but your business must not fully rely on the systems. For sometime now, we have been designing professional money-making websites for members of our mentor-ship academy with just N15,050.00. But like I said, having website doesn’t give you money, it is when you make it to work for you that it brings you unstoppable cash-flow. How do you make your website to work hard for you? Yes, your website can keep working hard for you every day while you make all the money. But sincerely, you need to set your site to start the work. Don’t forget, it is not a robot. But you can set it on autopilot to keep running and doing the work while you eventually relax and keep earning the reward of your initial work. Again, I ask, how do get your website to work hard for you? If we have designed a website for you or you are contemplating on having one soon, then, you need to attend this coming Wednesday training on 16th August, 2017 where I will show you how. 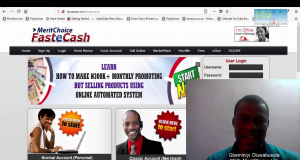 I will be teaching you How To Turn Your Website Into A Money Making Machine. I will also be showing those that are new to working with websites how to start using their website like, how to post, edit, upload picture, embed video, promote with it and so on and so forth. But essentially, I will be showing you how to start generating traffic to your website. I have been studying one fantastic way to generate boatloads of unending traffic daily to your website via twitter. The Amazing part of this idea is that you can automate it and get the traffic for almost free. This will help you build list and get yourself branded online. Though, the training suppose to be for those that we have created website for, but if you are interested in the training and you are not a MEMMA member yet, you can be part of it. Just click the link below. If you are a MEMMA member and you need to clarify some things about your online business, website, using of MagicResponder, promoting your opt-pages etc, you can also be around this Wednesday. My team and I will be giving you the needed support. This is the support that I have promised to provide as we move together on this online business journey. I want to say a big congratulation to those that got paid last week, Friday. It is another week, keep working and let do it again. Friday is another payday. Make sure you set your net wide to cash-in enough commission. Yes o, we will be at Abuja live this weekend to have our first ever Free Internet Marketing Seminar at the Federal Capital Territory. All our people at Abuja and in the north, you don’t want to miss this rare opportunity at all. You have asked us for it and now, we are coming for you. Ensure you block the date nothing must interfere with it. It will be a life changing event. Don’t forget, the venue is: IBI Training Centre, Discovery Mall, Samsung Customer Care Complex, Ademola Adetokumbo, Wuse ll, Abuja. It is this Saturday, 19th August, 2017. By 10am. I want to appreciate our partner and seminar anchor in Abuja, Mr. Alex Adamu who has been working assiduously to make sure we have a smooth event at Abuja. He is a MEMMA Pro member, a seasoned internet market and we have been working together for close to 10 years now. He is also arranging a radio presentation for us probably by Friday. I will let you know when I will be on air at Abuja on Friday, if the arrangement goes as planned. Also invite other people. And don’t forget to work smartly too because you too can get paid by just inviting someone to be at the seminar if you are a MEMMA member already. You need to register and that is what qualifies you to gain access to the seminar. To do that, click the link below right now. Next: Are You Interested In Online Business Or Online Job?